TSCG is going on a two week hiatus, from now til the 16th of February. I needed some time off, so that I can focus on doing some upgrading the page titles on the website, so that you can tell what chapter your on or ACT. Plus, I gotta work on some paperwork, for the updates. We will start the story, as soon as we can get chapter 2 started and from that two-week hiatus, chapter 2 will go much faster. I know that we just started Act 2 in all, but what do you think of it so far? Well, we are already in Issue 8 and General Howe thinks someone is controlling the Horseman and we already knew since Issue 2, but things will get worst in this Act. I mean more worst than Act One. Evil Howe will mark his first ever appearance in person and you will always see him as the "Dark Figured Man." General Thomas Gage will make his first appearance at the end of Act Two and I know it's a long wait but it will go fast and there is only five Issues in this Act. The 21st Century Cast will make their appearances in this Act. They only made only one appearance in Issue 0, mostly Robert Johnson. Tom Phillips, John Phillips, Bryan Johnson, John Hampton, and General Henry Clinton. 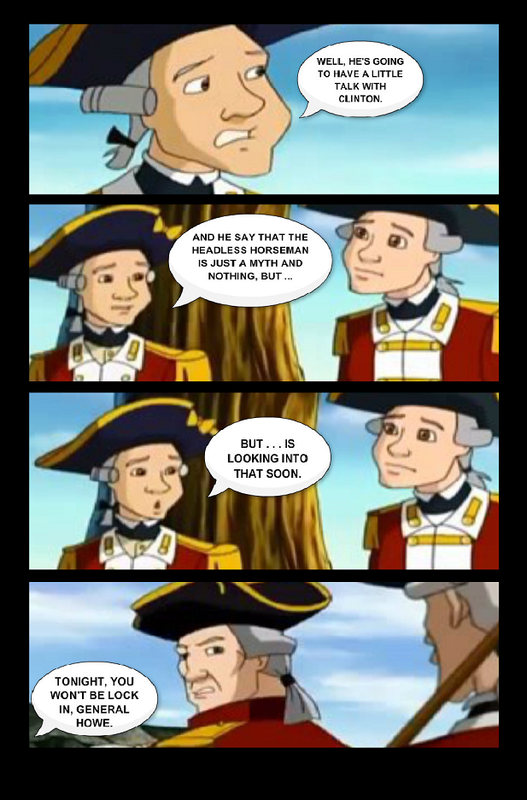 And I almost forgot, the Headless Horseman will make no appearances in this Act and you only have to worry about Evil Howe this time. Last year, if you remembered the Valentine's comic, about General Howe falling in love with Frances Connolly, while he was looking for a wife. Well, the comic will go on sale, for only $0.99, from February 1st to February 15th, so it will starts tomorrow, then! Also, the Christmas seasonal comic, The Joy of Christmas, will be released on the 14th, which is Valentine's Day. It's the right day to release the comic. Remember, I can't publish it, in print, all you can do, is download it, to read it or go back the tabs. Volume Two will be release on March 3rd online, it will be $4.99 for the book. No contest on this one! All of Act Two's Issues are all in Volume Three and it will be release, as soon as we start Act 3. I'm not going to do the contest for the March Madness this year. And the reason why, well, last year, I did three contests and one of them was the March Madness. Maybe next year. I will have Issue 8 done by in the first week of March and during the March Madness, the page updates will be from Mondays through Fridays and it will be beyond March for a little bit and I got a mini comic that I will share with you guys after Issue 8. And I'll give more details about it in the next newsletter. Right now, the updates are still Mondays, Wednesdays, and Fridays for now til March. Well, I am still 13 Issues for Sleepy Hollow, while The Sin City Girls is now at 5. So, it looks like that I won't be able to work on some more pages for awhile! I might get to work on the new pages for TSCG as soon as it reaches down to 1 or 2. 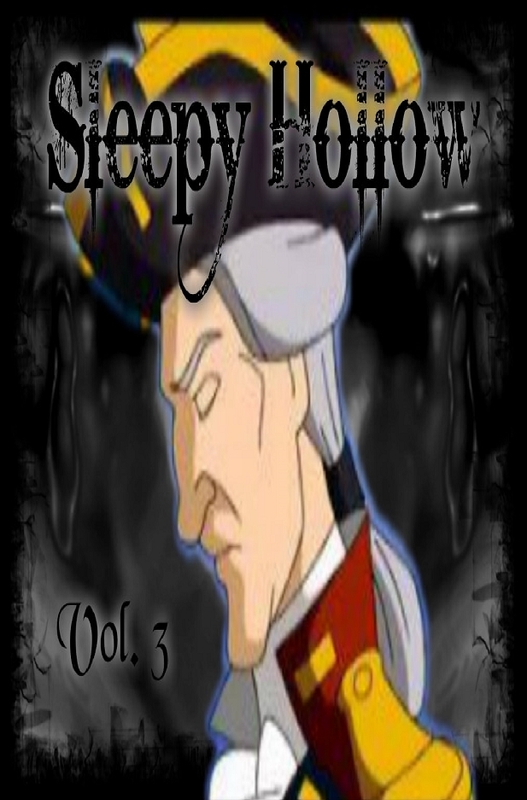 It's going to be for awhile for Sleepy Hollow. I sure do have a really big buffer, like always. There is a newsletter update this Saturday. I will take a two week break after this Thursday, for The Sin City Girls, so that I can catch up on some work and updates for the series. So, we will be back on the 16th of next month, to start the Chapter 2 story. Chapter 2 won't be as long as Chapter 1 this time. The page buffer for TSCG, is now at 5. I still won't work on another chapter or Issue til it starts dropping down, which as of right now, the buffer is still very big. Maybe, I will start working on the comics once it hit 2 or 1. At least Chapter 6, for the safe side. 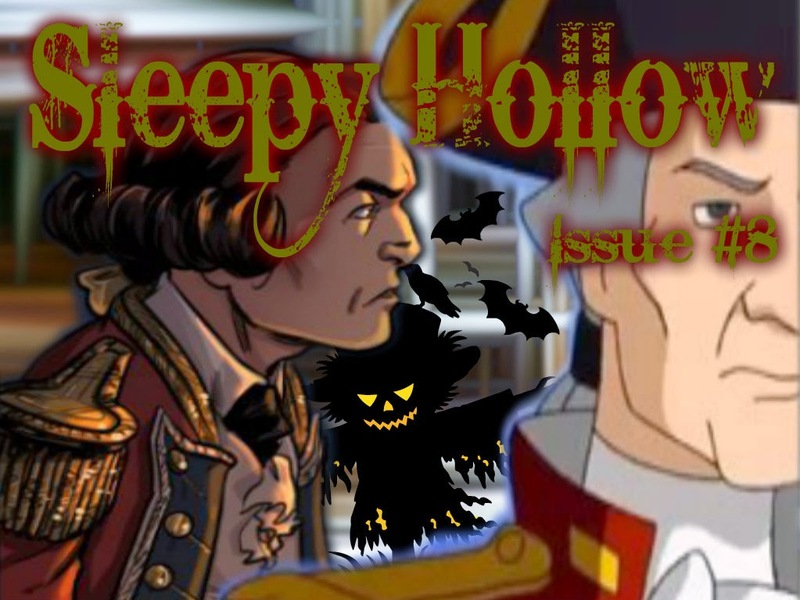 Sleepy Hollow's page buffer is still very high, so I won't be working on another Issue this year! John Phillips is losing it! Here is it, the page update at last. . . I will get page 5's ready for Friday night and next week, I will try to get back to the Mondays, Wednesdays, & Fridays updates again and get my mind to focus on this comic, not the video games. Follow me on Patreon to view the upcoming page for Friday! I know I haven't posted Wednesday's update yet, but I will post that tonight, along with The Sin City Girls Tuesday's update. I wish I could reduce my update days but I will leave it the way it is til the goal is reached on both comics. Come back tomorrow night for another page update! At least that someone understands Howe's problems! Follow me on Patreon to view the upcoming page for Wednesday! Sorry about the late update, my head was hurting real bad last night and I couldn't stay up later to get the page update ready. 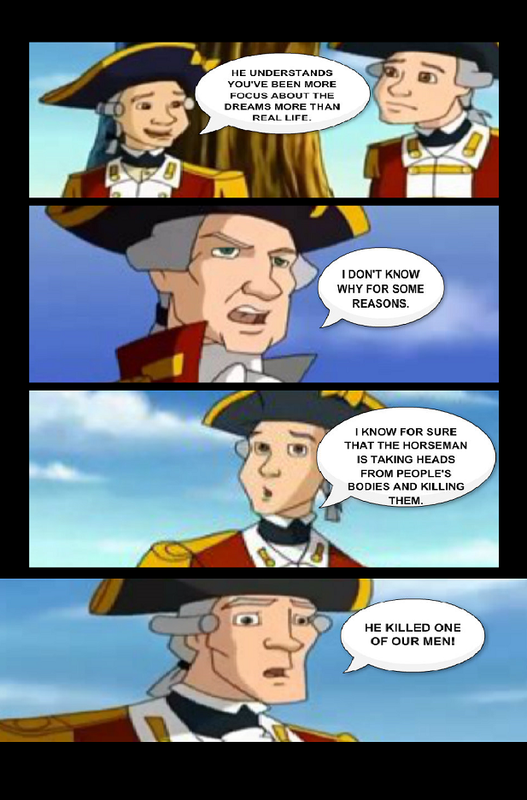 General Thomas Gage is the new character of this series. He won't appear in this Issue, but he will make his first appearance later on in Act Two and keep your eyes & ears open for him. Follow me on Patreon to view the upcoming page for Monday of next week! This page picks up where Issue 7 left off. And there will be another character that will be joining the cast but that won't be til later on in this ACT. Follow me up on Patreon to view the upcoming page for Friday! 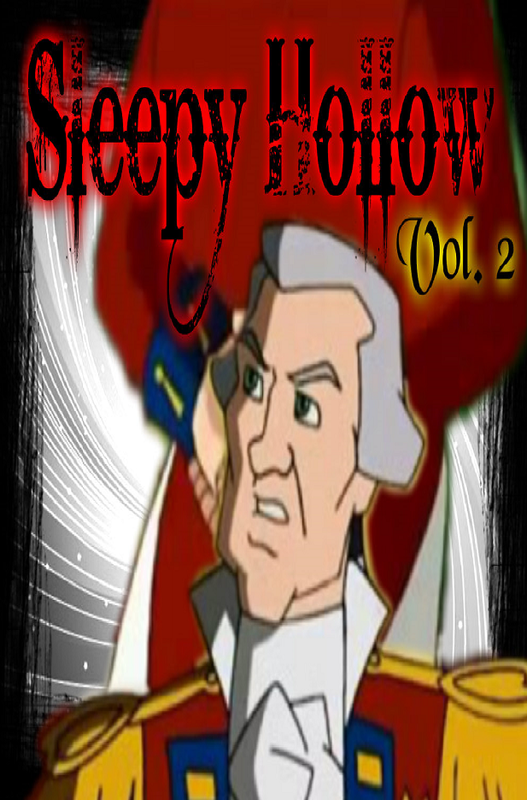 It is the return of Sleepy Hollow, with an new ACT! Evil Howe is now part of the main cast as himself, instead of the Dark Figured Man. 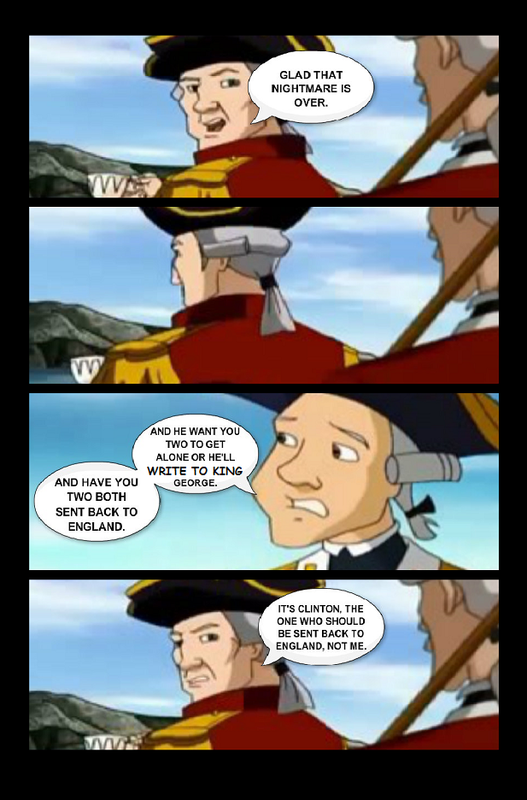 General Howe has to worry more about Evil Howe and General Clinton now. Follow me up on Patreon to view the upcoming page for Wednesday! It's Halloween Released. . . The Seasonal comic is now available for download purchase, for only $2.99! 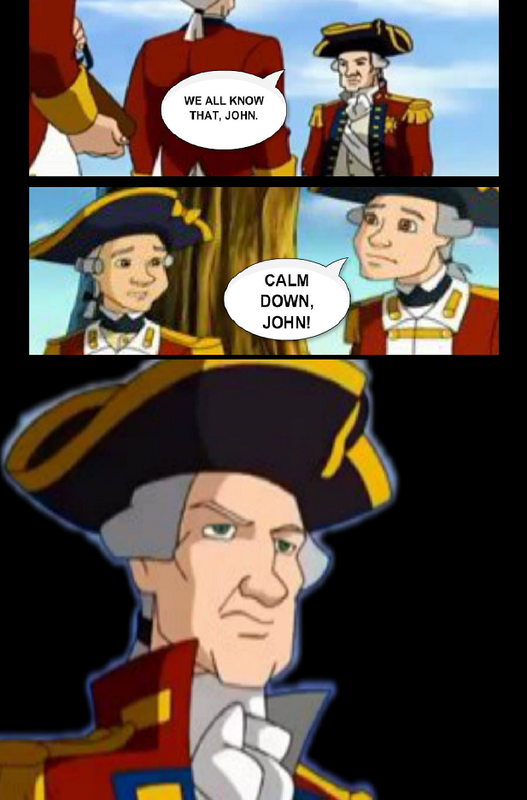 Sorry about the lateness of the comic, itself. 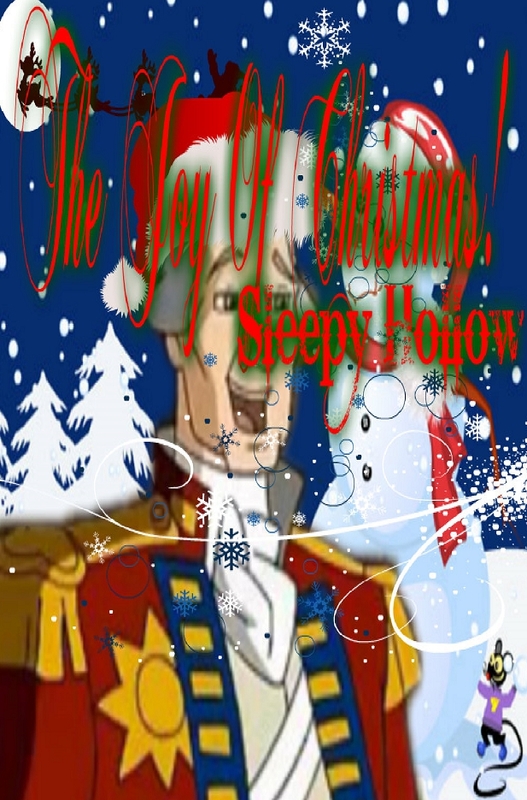 Our next release date, for The Joy of Christmas will be January 23rd! We are about to start a new ACT on Monday and this is the perfect timing to start Volume 3 today. 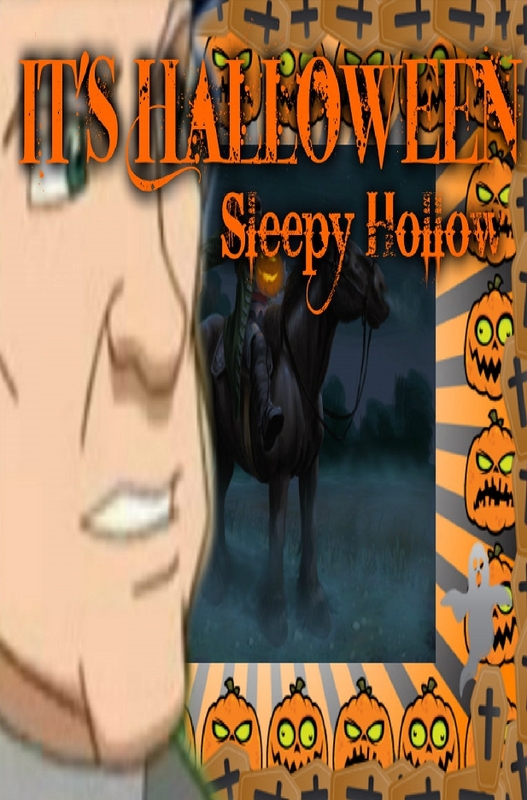 Today is also the release of Sleepy Hollow's seasonal comic, It's Halloween and it's for download purchase only. The comic will only cost $2.99. Sleepy Hollow updates will resume on Monday.